This exotic & refreshing slaw can be served cold or warm. 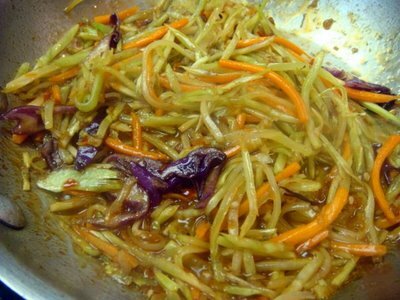 Just mix a bag of broccoli slaw or cabbage slaw with Asian salad dressing. I like honey ginger dressing. Toss & serve. Make it ahead and refrigerate while you cook the rest of the meal.